Life palette should be made yourself. 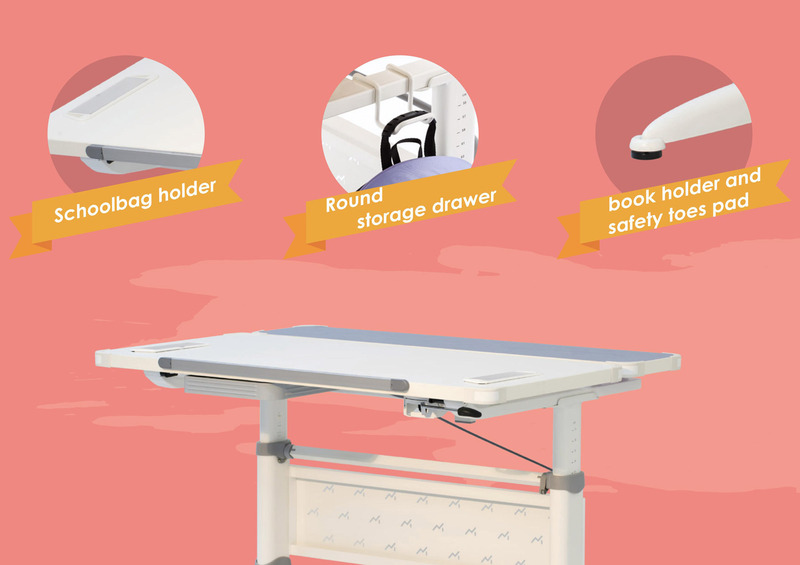 A Colorful color just likes a changing world every day. When we learn something new, it may have new life color coming. 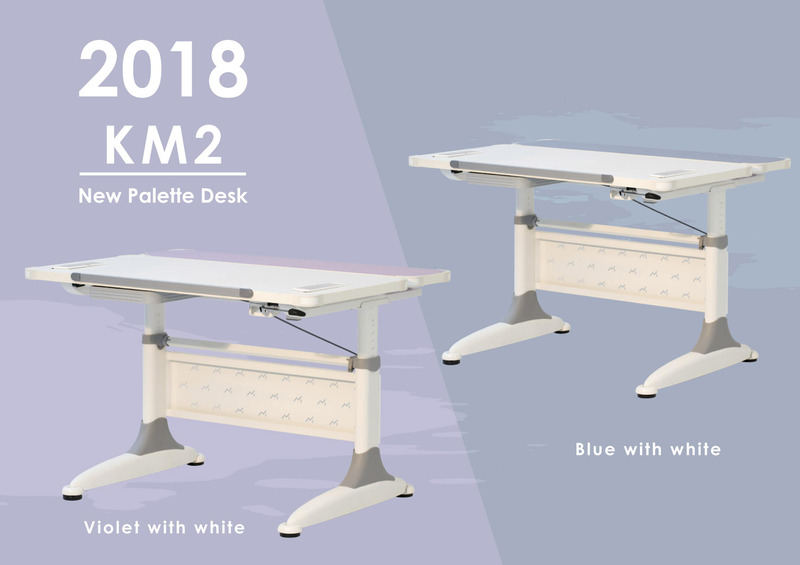 Keep your mind and continue select new color you want because your life makes by yourself. 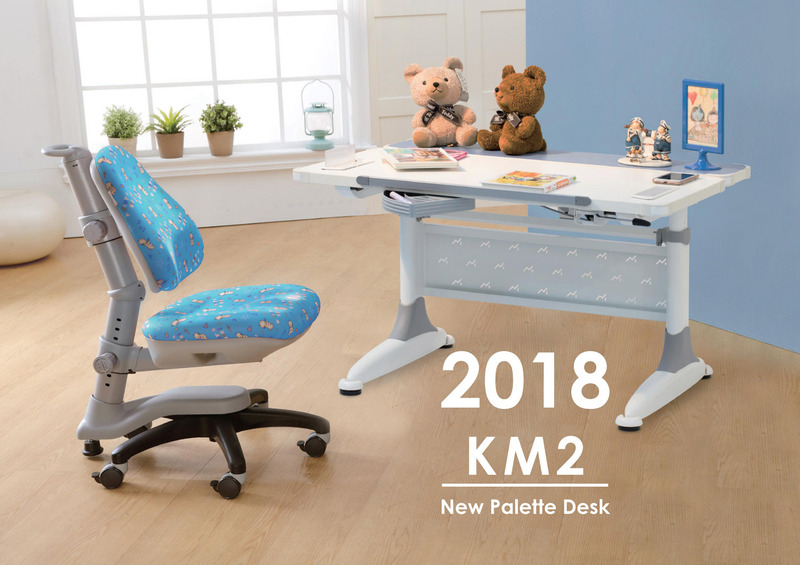 The concept design of New Palette desk: To be continue the brand concept, the brand "Kids Master" doesn't natural advantages but because strive for more creative and make it true. Clarify self-aspiration and toward the target to finish it. 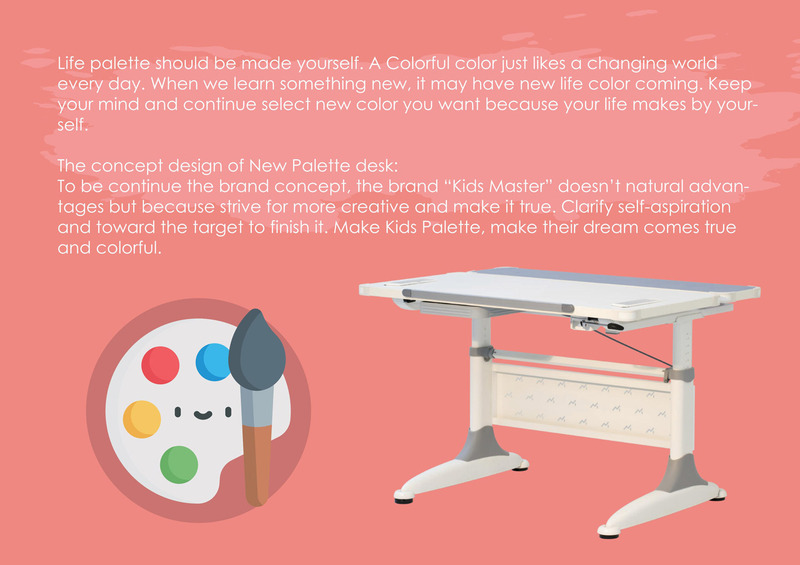 Make Kids Palette, make their dream comes true and colorful. 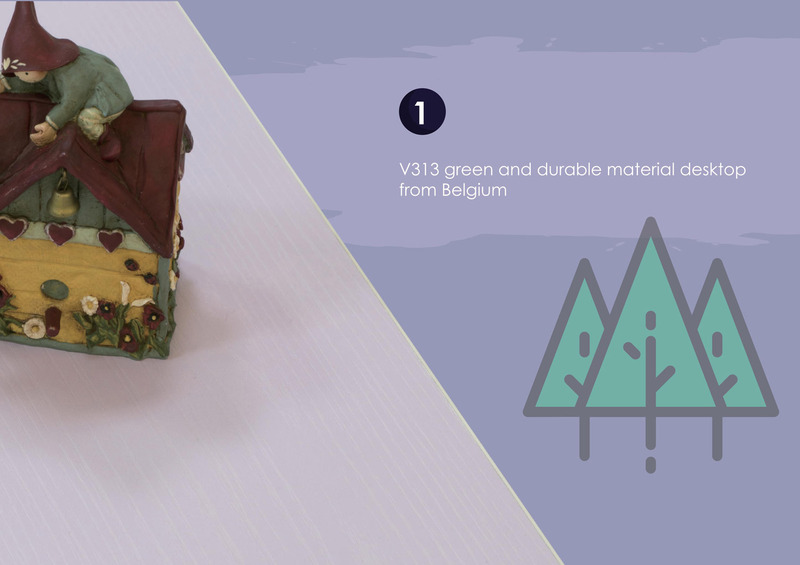 V313 green and durable material desktop from Belgium. 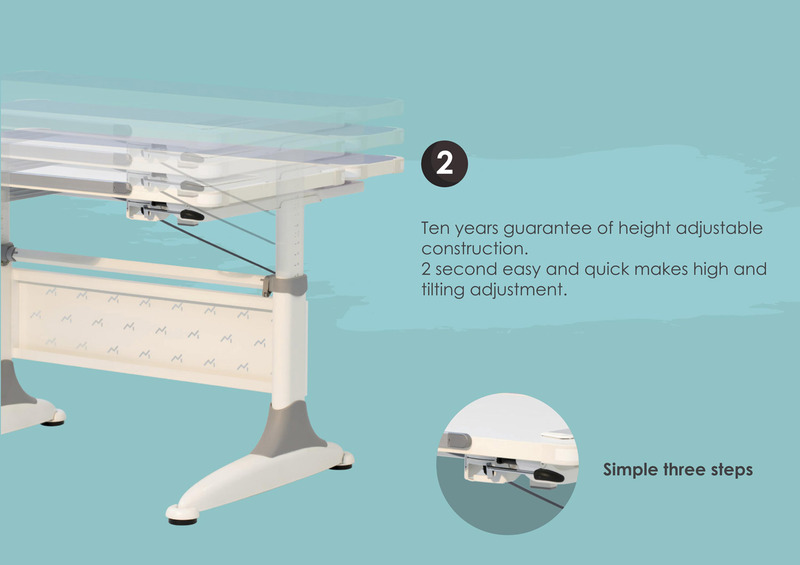 Ten years guarantee of height adjustable construction. 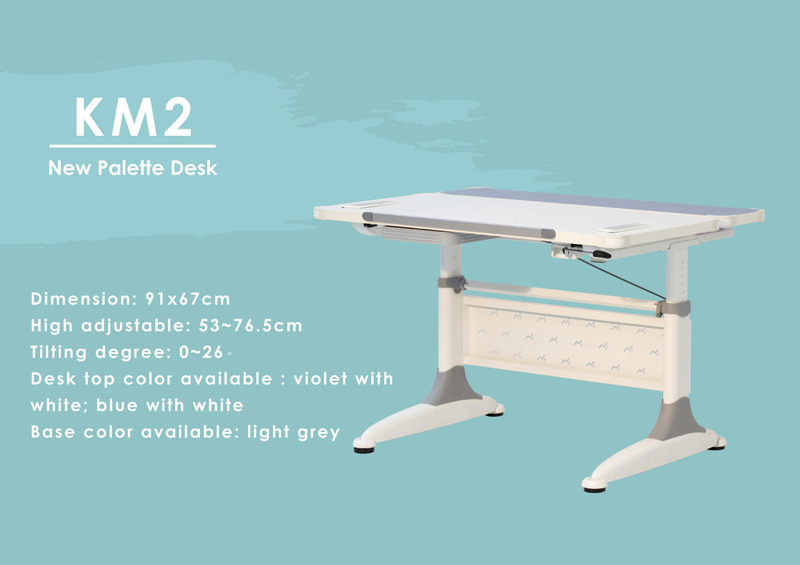 2 second easy and quick makes high and tilting adjustment. 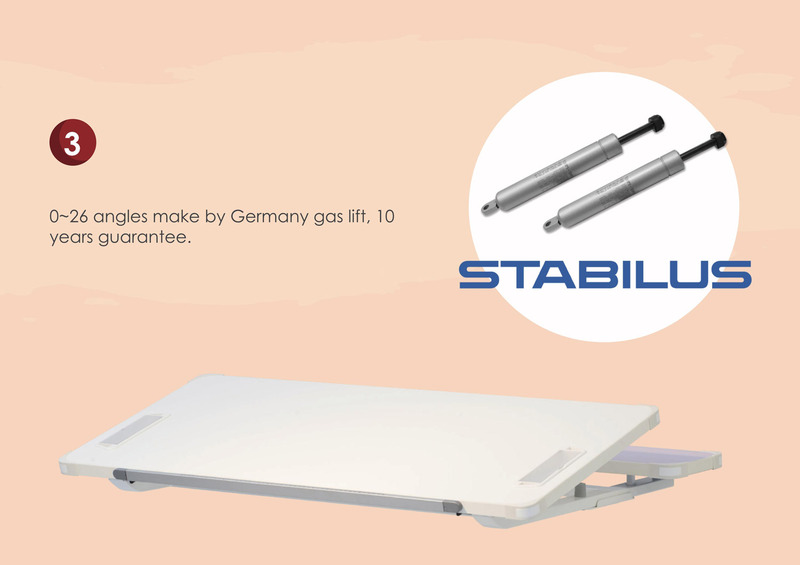 0-26 angles make by Germany gas lift, 10 years guarantee. 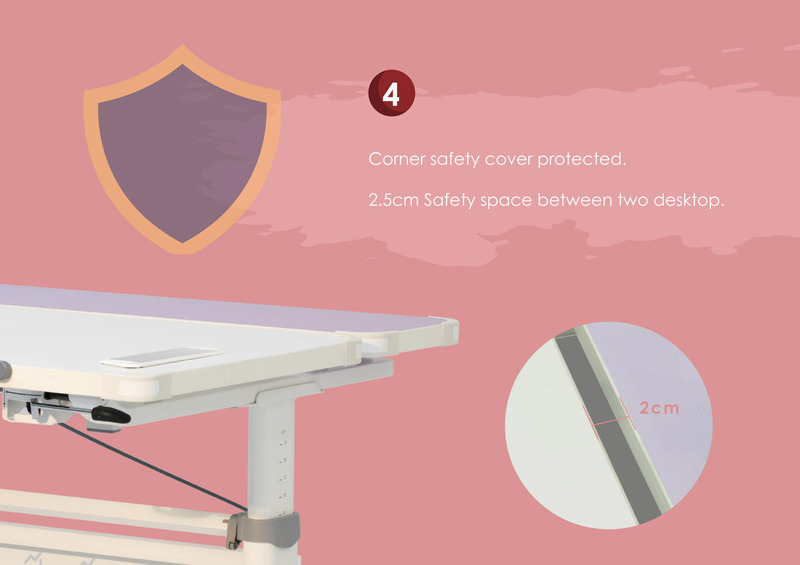 2.5cm Safety space between two desktop. 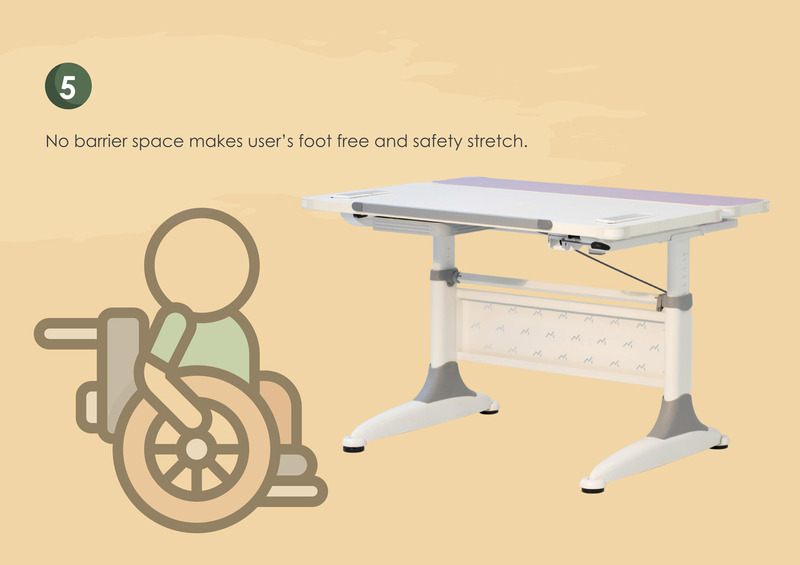 No barrier space makes user's foot free and safety stretch. 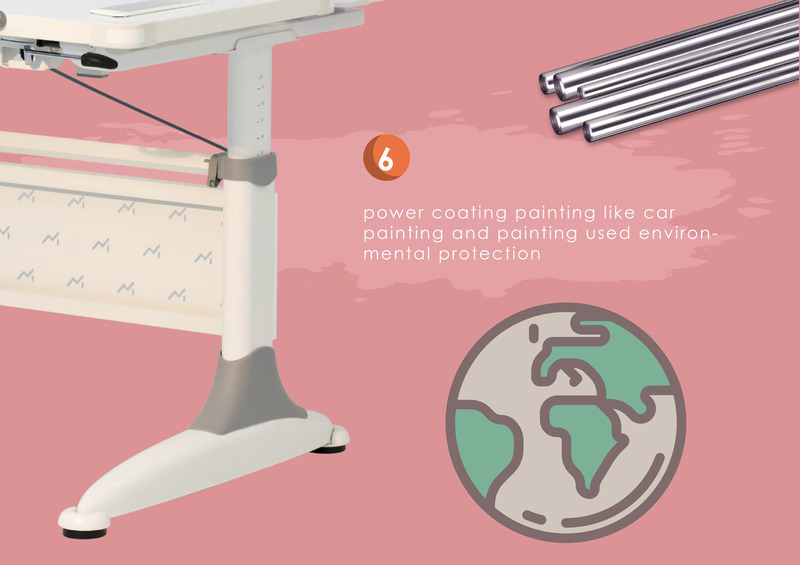 power coating painting like car painting and painting used environmental protection. 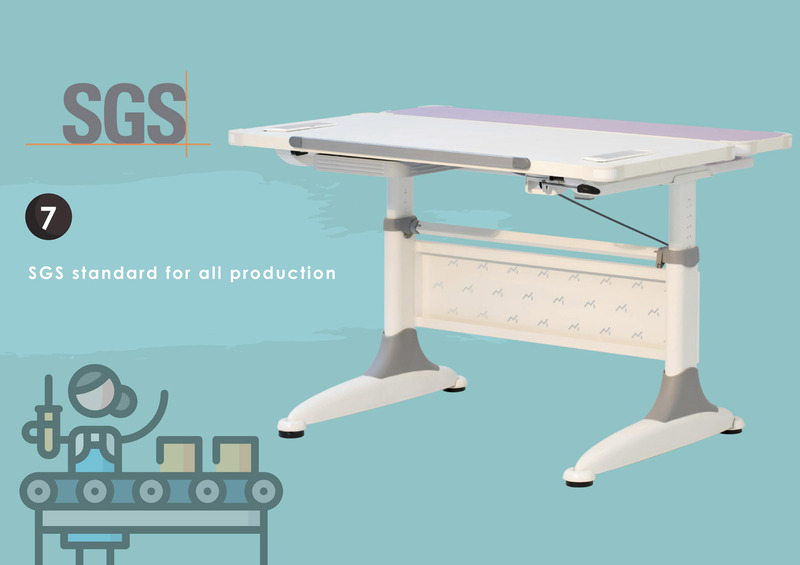 SGS standard for all production. 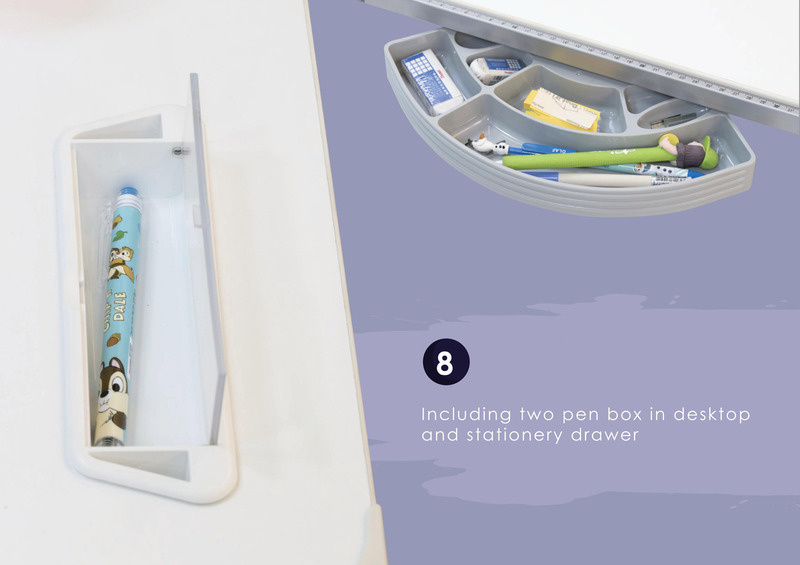 Including two pen box in desktop and stationery drawer.